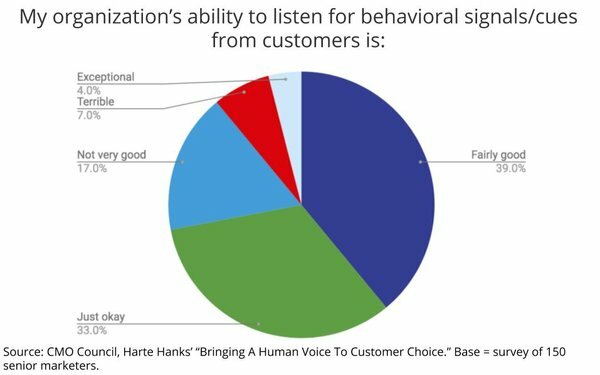 Most marketers feel they are doing at least an “okay” job of listening for important behavioral signals about their customers, but a significant number feel they may already have lost sight of the most important thing those signals are supposed to represent: human beings. That's one of the top insights in a new report, "Bringing A Human Voice To Customer Choice," being released today by the CMO Council in partnership with Harte Hanks. 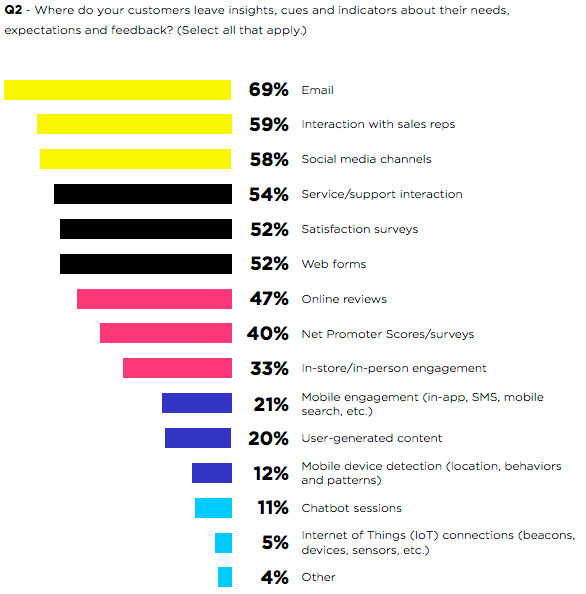 As far as self-reported report cards go, the study signals that marketers are relatively confident about their ability to stay on top of the most meaningful signals coming from customers, although not a single respondent indicated that they were “well prepared to integrate new experiences and new points of intelligence” into their process to improve their brand’s engagement with customers. Only about a quarter of the respondents gave themselves a failing grade, indicating that they were either “not very good” (17%) or “terrible” (7%) at reading meaningful behavioral signals. Email overwhelmingly dominates the platforms or sources that marketers feel they glean the best signals from, followed by interaction with sales representatives and social media channels.